Home » All » The ‘Heatwave’ is Coming to Banking Hall! We’re excited to present ‘Heatwave’ as our theme for the London Summer Event Show 2019! The main space at Banking Hall will become the ‘Sizzle Room’ and undergo a scorching transformation, with a sunset colour scheme throughout. With scorching reds, blazing oranges and sunburnt yellows, we will transport you back to our heatwave summer with one fell swoop! With that in mind, we know that global warming is becoming a real problem and that event organisers are wanting to eco-proof their event. Our final space, ‘The Haven’ will have a sustainability focus with tropical greenery and more importantly our wonderful #StoryGivesBack winners! Don’t forget to pop into our seminar room when you visit, as there’s lots of exciting talks that are not to be missed! 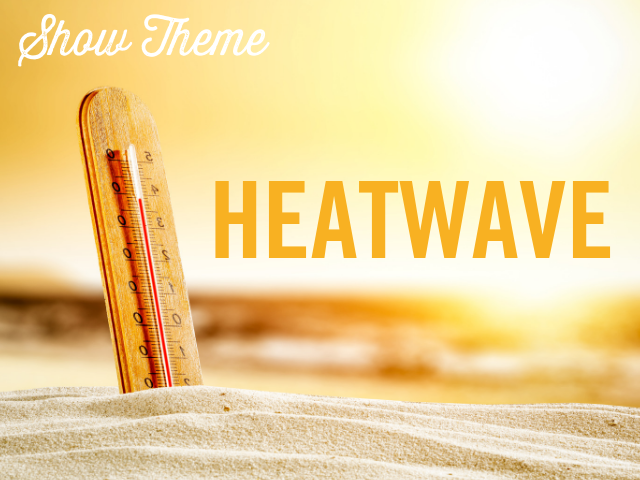 The London Summer Event Show 2019 ‘Heatwave’ will be coming to Banking Hall on Tuesday 22nd (Agents Evening) and Wednesday 23rd January (Corporate Buyers Day), registration for the event is now open. Click here to apply for your free ticket to attend. « Fancy a FREE Stand at the London Summer Event Show?